For those who do not know, Fall is my favorite time of year. The air feels crisper and the trees are painted in such beautiful yellows, orange and reds. Another reason is because pumpkin spice is back in season and everywhere. I realize not everyone is a fan of pumpkin spice. I enjoy it so much that it was the flavor of my birthday cake this last week. 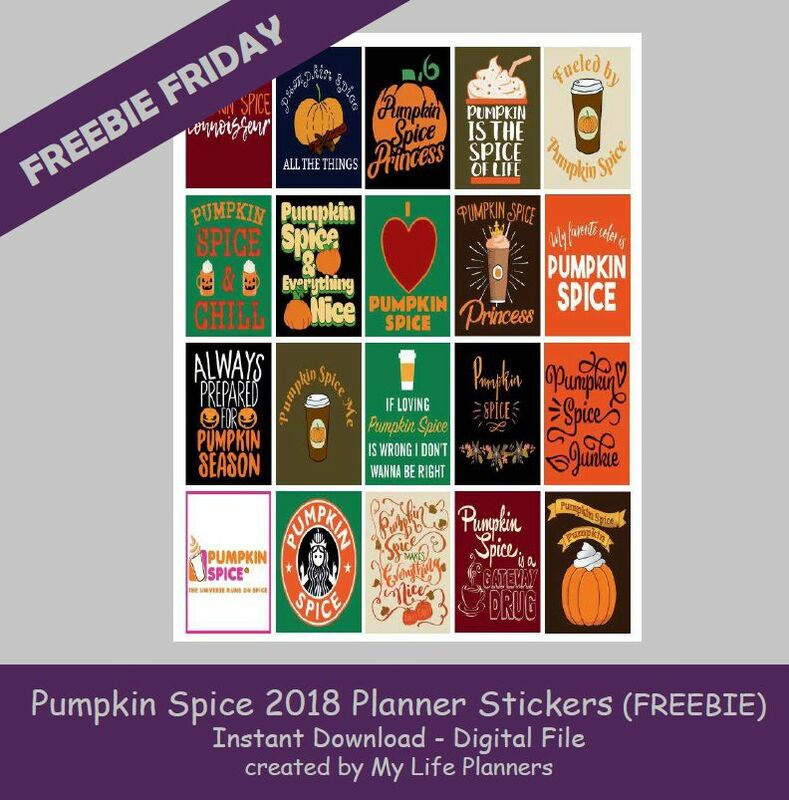 This week’s Freebie Friday Feature is Pumpkin Spice. Go ahead and add some spice to your planners this fall. In case you miss the Pumpkin Spice 2017, you can download it here.